We don't get these very often, ... It always gets your nerves up. It's an upbeat part of the job. 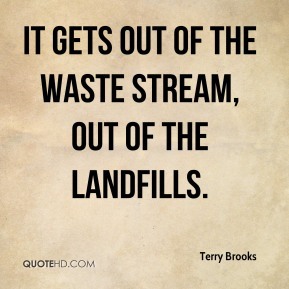 It gets out of the waste stream, out of the landfills. 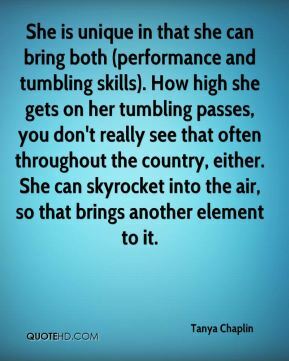 She is unique in that she can bring both (performance and tumbling skills). How high she gets on her tumbling passes, you don't really see that often throughout the country, either. She can skyrocket into the air, so that brings another element to it. 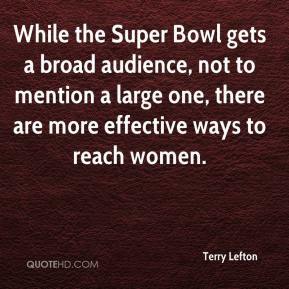 While the Super Bowl gets a broad audience, not to mention a large one, there are more effective ways to reach women. 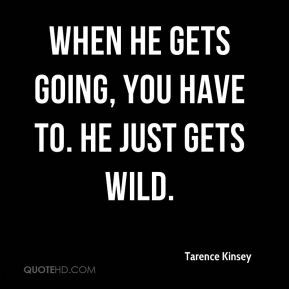 When he gets going, you have to. He just gets wild. 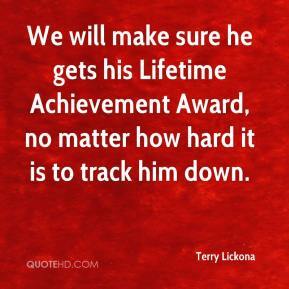 We will make sure he gets his Lifetime Achievement Award, no matter how hard it is to track him down. 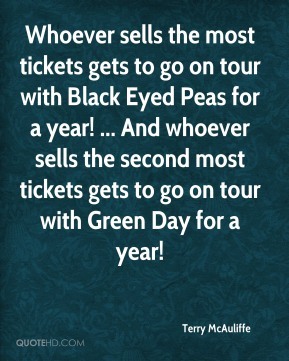 Whoever sells the most tickets gets to go on tour with Black Eyed Peas for a year! ... And whoever sells the second most tickets gets to go on tour with Green Day for a year! Kent has never been one to stick with a lot of anything. He can do anything, but he gets bored too easily. The concept has promise, but, as often happens in Mr. Gilliam's movies, the narrative gets gummed up with his labored surrealism. ? The movie ? 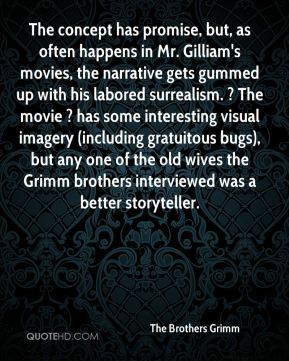 has some interesting visual imagery (including gratuitous bugs), but any one of the old wives the Grimm brothers interviewed was a better storyteller. 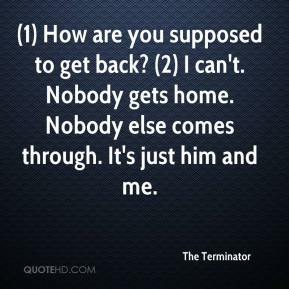 (1) How are you supposed to get back? (2) I can't. Nobody gets home. Nobody else comes through. It's just him and me. He's a major contributor to this team. He's a major team player, too. He gets as many assists as points, too, so he helps out a lot. 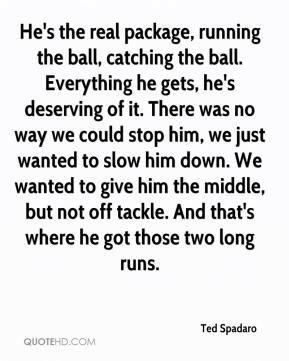 He's the real package, running the ball, catching the ball. Everything he gets, he's deserving of it. There was no way we could stop him, we just wanted to slow him down. We wanted to give him the middle, but not off tackle. And that's where he got those two long runs. 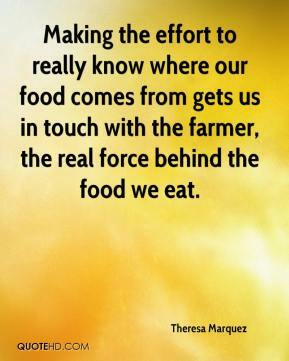 Making the effort to really know where our food comes from gets us in touch with the farmer, the real force behind the food we eat. 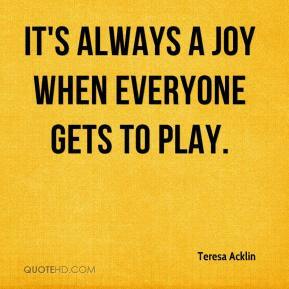 It's always a joy when everyone gets to play. She gets better every outing. 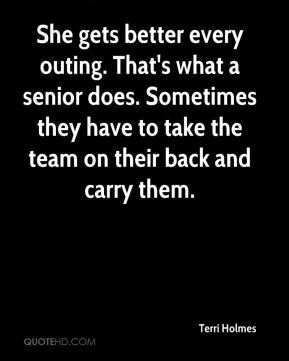 That's what a senior does. Sometimes they have to take the team on their back and carry them. 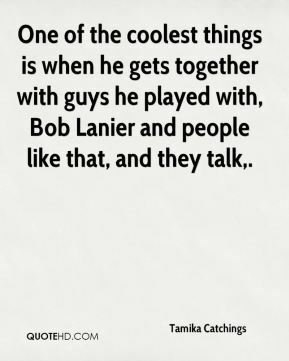 One of the coolest things is when he gets together with guys he played with, Bob Lanier and people like that, and they talk. [In your article] Controversial doctor gets aid, ... contacted by an attorney from the N.H. 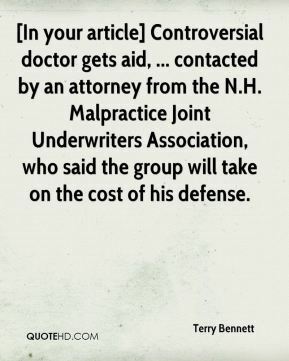 Malpractice Joint Underwriters Association, who said the group will take on the cost of his defense. What if your house catches on fire and a fireman goes in there, and they shoot him or somebody gets sick and the ambulance people are trying to get in and they get shot. 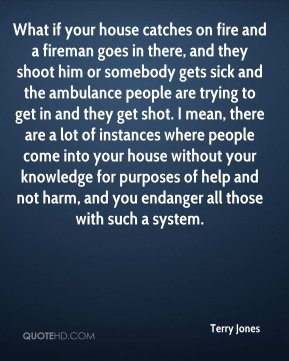 I mean, there are a lot of instances where people come into your house without your knowledge for purposes of help and not harm, and you endanger all those with such a system. 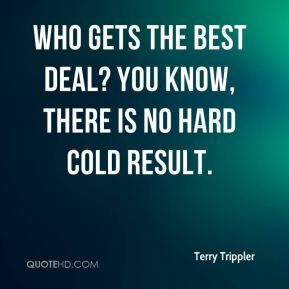 Who gets the best deal? You know, there is no hard cold result. 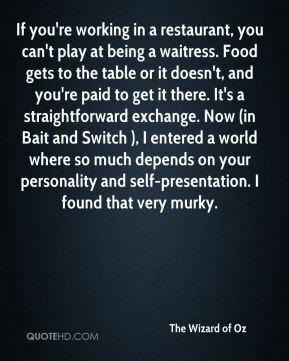 If you're working in a restaurant, you can't play at being a waitress. 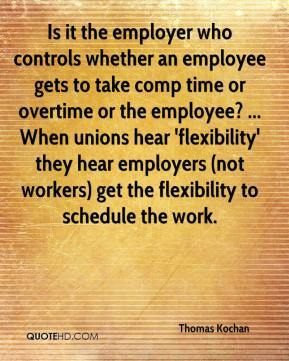 Food gets to the table or it doesn't, and you're paid to get it there. It's a straightforward exchange. Now (in Bait and Switch ), I entered a world where so much depends on your personality and self-presentation. I found that very murky. 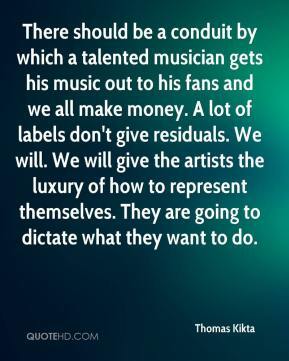 There should be a conduit by which a talented musician gets his music out to his fans and we all make money. 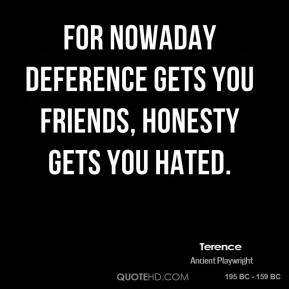 A lot of labels don't give residuals. We will. We will give the artists the luxury of how to represent themselves. They are going to dictate what they want to do. 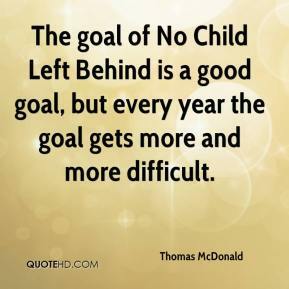 The goal of No Child Left Behind is a good goal, but every year the goal gets more and more difficult.